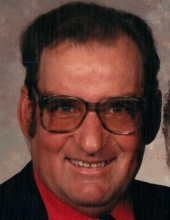 Richard Kapla, 77, of Beaver, passed away Tuesday, April 2, 2019 at Bay Area Medical Center, Marinette. He was born to the late Harry and Lucille (Andre) Kapla July 3, 1941 in Menominee, MI. Richard enjoyed driving bus for Greyhound Bus Company and farming on the family farm for many years. He enjoyed hunting, fishing, woodworking and spending time with his family, especially his grandchildren. Surviving are his wife Susan, three sons, Kirk Kapla, Kevin Kapla, and Kent (Becky) Kapla, nine grandchildren, two brothers, Donald and Jerry and a sister, Carol. He was preceded in death by his parents and one sister, Louane. The family will greet relatives and friends at the Rhodes-Charapata Funeral Home, 235 East Main St., Coleman, Wednesday, April 10th from 9 AM until the time of the Memorial Service at 11 AM with Pastor Nick Johannes officiating. Richard will be placed to rest at St. Leo Catholic Cemetery, Pound. To send flowers or a remembrance gift to the family of Richard H. Kapla, please visit our Tribute Store. "Email Address" would like to share the life celebration of Richard H. Kapla. Click on the "link" to go to share a favorite memory or leave a condolence message for the family.